It’s getting close to Easter and although I am not religious, I like the whole Easter Bunny, chocolate eggs and time off from work shenanigans! And I wanted to share a few Easter themed recipes in the build up to the event. 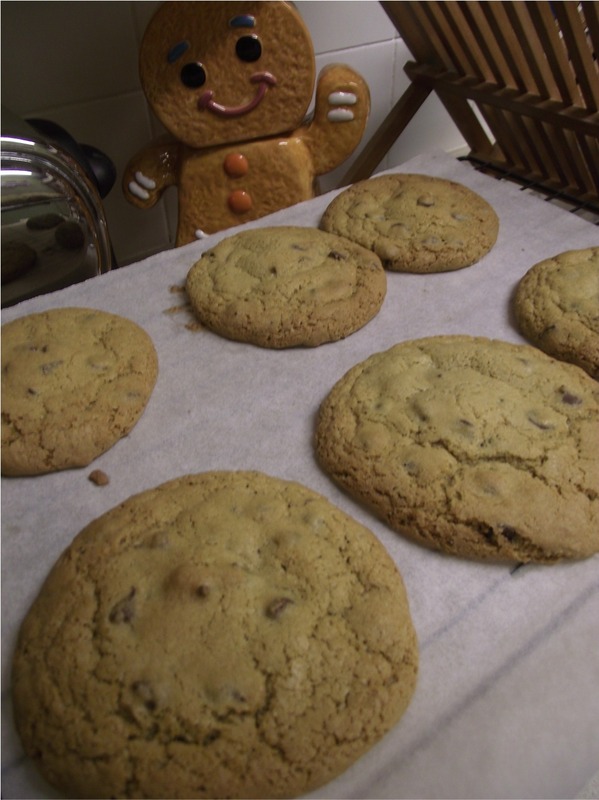 The idea for this one stems for the craze to stuff just about any sort of sweet/candy inside a cookie. And I know what you are thinking – a creme egg inside a cookie?! Well, not exactly. I put a Creme Egg Splat in the middle. If you haven’t seen these, they are little flat chocolates stuffed with the delicious gooey fondant found in Creme Eggs. Bit of a cheat, but how else was I going to stuff a whole egg into a cookie?! Preheat your oven to 180oC. Line a couple of cookie sheets with greaseproof paper. 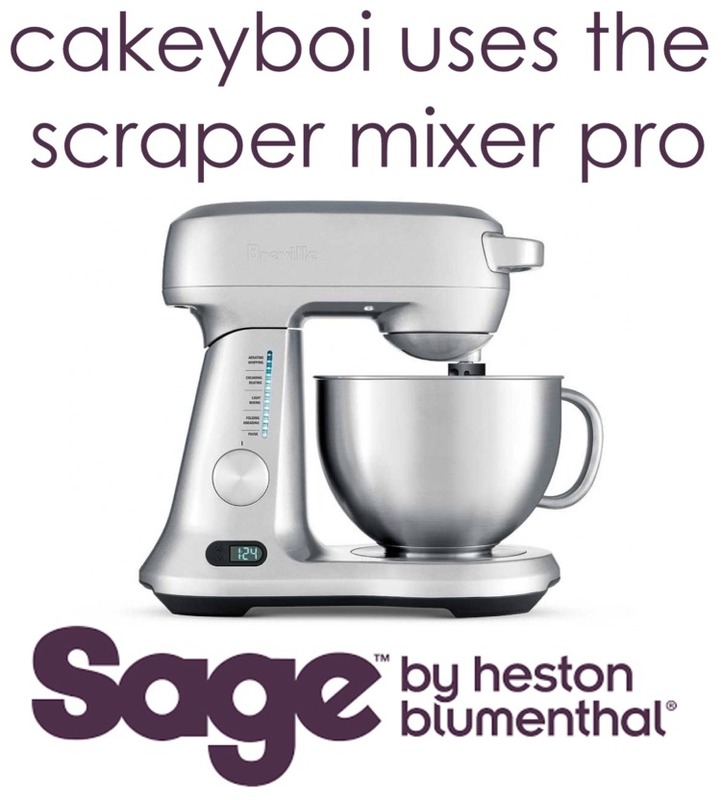 In a bowl, cream together the butter and sugars until smooth and creamy. Add the eggs and vanilla and beat until smooth and slightly thickened. Add the flour and baking powder and mix just until no streaks of flour can be seen. 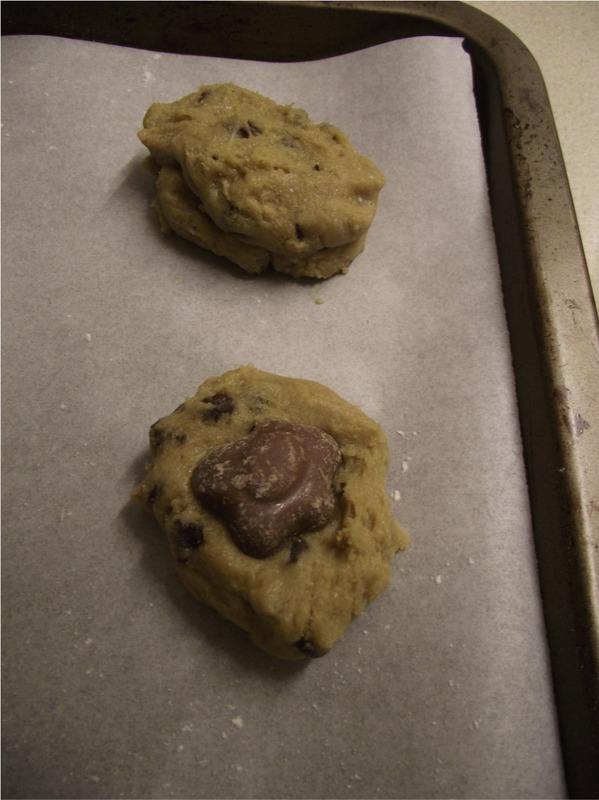 Fold through the chocolate chips. 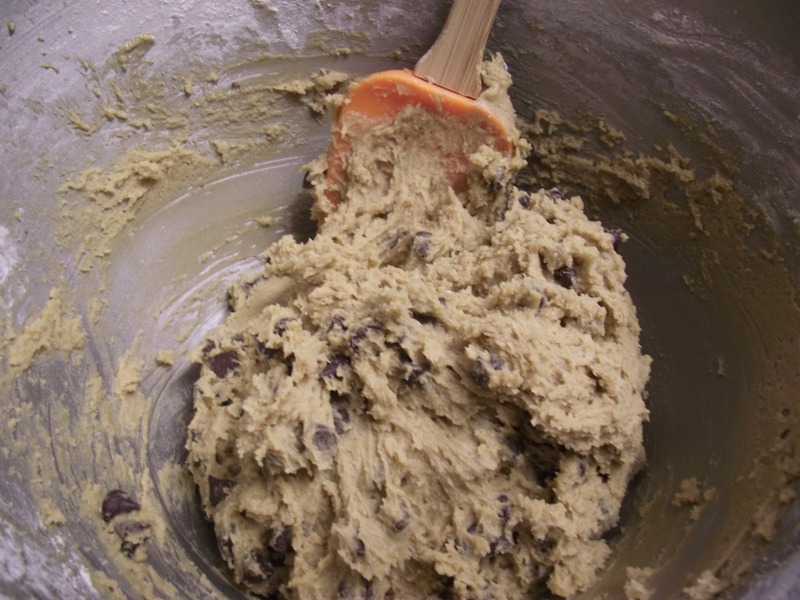 Chill the cookie dough in the fridge for half an hour which will make it easier to handle. When chilled, take one twelfth of the dough and half this. Flatten the one half and place a Creme Egg Splat on top. With the other half of the dough, spread this on top of the dough and splat, pinching around the edges to seal in the splat. Place on the cookie sheet and repeat with the rest of the dough. Place into the oven for 15 minutes and the cookies will have turned golden brown. Allow to cool completely before devouring and enjoying the delicious gooey creme egg centre. Oh, and the cookies themselves are delicious even without the treat in the middle. Adapted from The Kitchen Magpie. What a fab idea Debs - a cookie bunny!! This is an amazing idea! I need to incorporate creme eggs into my baking too! Just a pity the real size wouldn't fit!! They look fab. 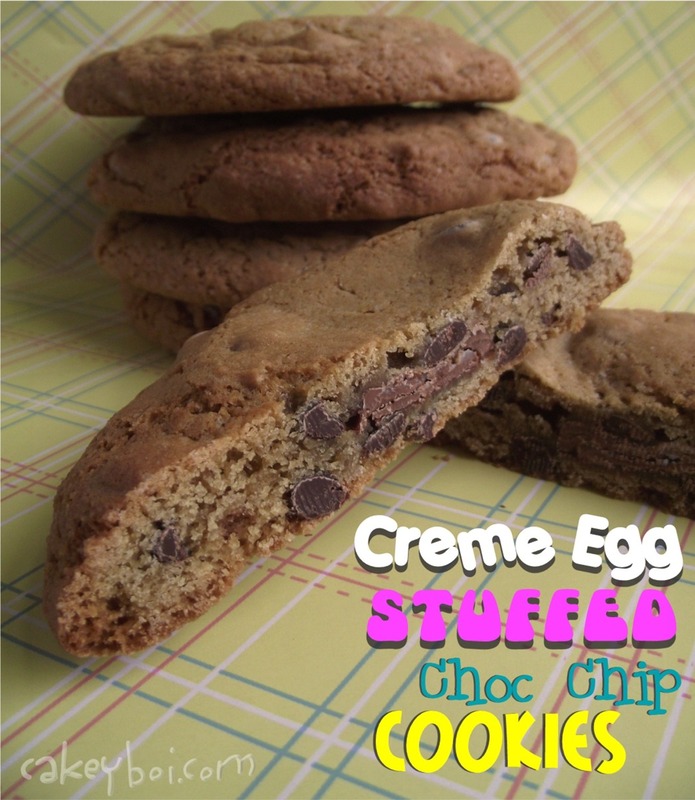 I so need to figure out how to get the proper creme eggs in those cookies! Sammy, if you manage that - pleeeeease let me know! They would be so good!! They look great! 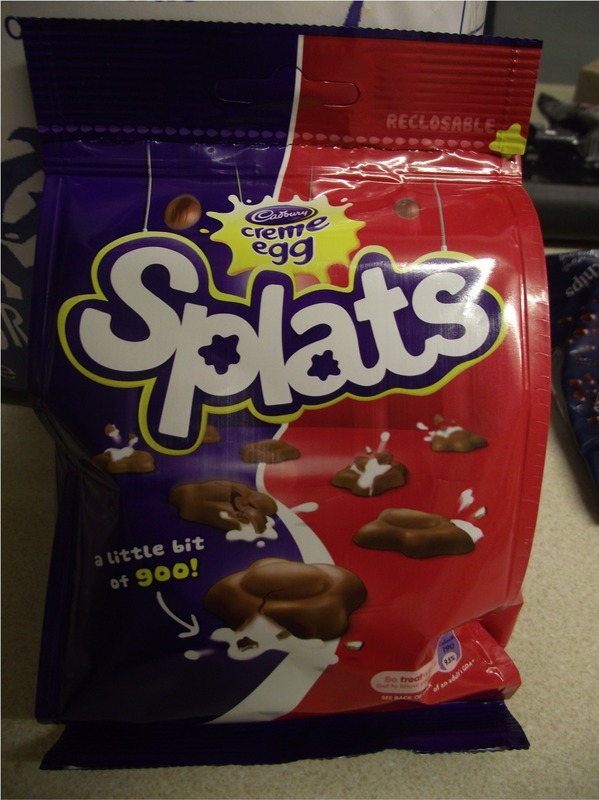 I haven't tried those splats yet. I was planning on adding creme eggs to brownies, but haven't gotten around to trying it yet. You've just reminded me. I think I will use them in the brownies. Yum, look at the size of those cookies! I would love to try one! Wondering if you get Splats over there in Vancouver Gem?